IT'S MINE ! - This Forum is brought to you by The Mastiff Sweet Spot and Friends of the Forum. 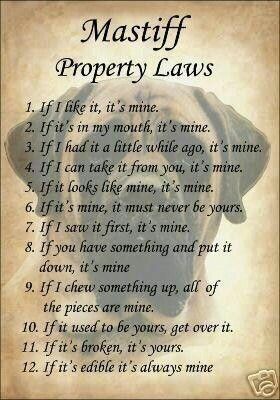 The Mastiff Sweet Spot > Topics > IT'S MINE ! Hi Susan. how are your babies doing?